Last month, I joined a Lost Rivers walk within the PATH system. Typically engaged with tracing the routes of buried creeks within Toronto’s topography, the Lost Rivers PATH walk was unique in its investigation of a part of the city so thoroughly urbanized that finding traces of what came before seems absurd. 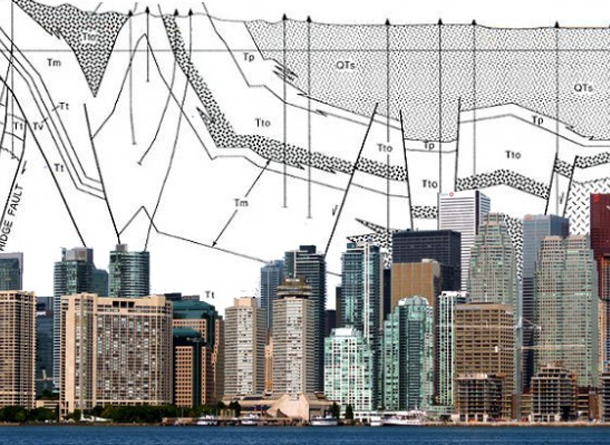 In its third year of hosting the PATHology and Geology walk, Lost Rivers has once again invited a reconsideration of Toronto’s urbanized core. Our goal was finding proxies for — and true instances of — nature within the world’s largest network of underground pathways.